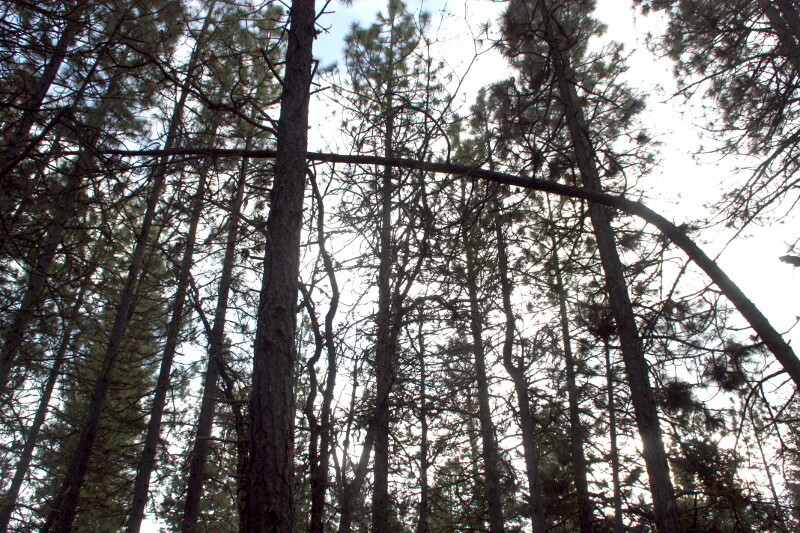 A core aspect of the Windward Community’s (Herland’s stewarding organization) long-term ecological research and modeling revolves around creating a holistic economy based upon the stewardship of healthy, diverse and well functioning ecosystems; ecosystems which provide for the material well-being of communities of stewards, human and otherwise, living in rural area. 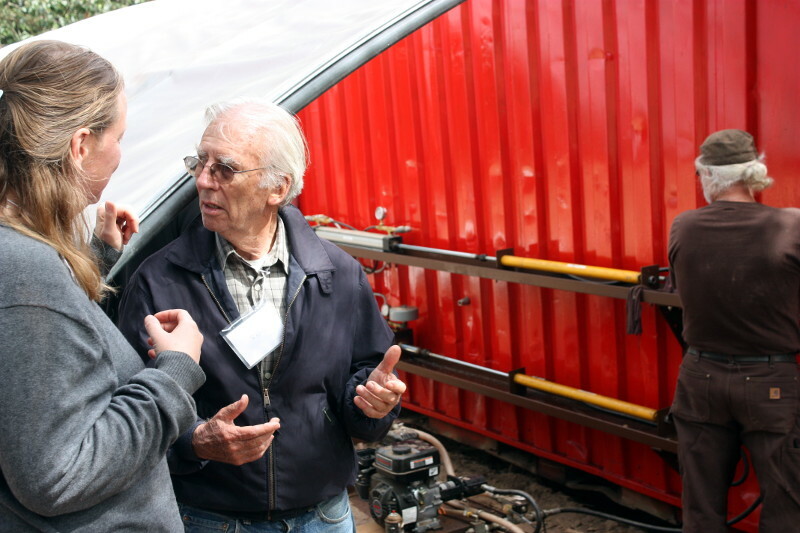 Opalyn (left) and Walt (right) talking to Herland Forest Guardian and B2M “True Fan”, Roger Winn (center) about B2M at Windward’s annual open house event The Village Helix – with the B2M gaseous fuel compression system in the background. Biomass2methanol (B2M for short) is a grass roots open source biomass energy project operated under the Windward Education and Research Center. Many of the people involved in the effort the start Herland Forest are also working in some capacity on B2M. Like Herland, Biomass2Methanol is one aspect of how the Windward Community is working toward modeling a sustainable rural village. In the case of Herland, we are working out how death plays an important role in the regenerative cycles of forested ecosystems of this kind. With B2M we are working out how to sustainably harvest branch wood from our Oak and Pine woodland through ecological restoration efforts, and convert that biomass into liquid and gaseous fuels we can use to run community infrastructure, farm machinery and other vehicles. To create abundance and economic security for rural people who are most often on the end of the energy supply chain. Here are a few important links that shed a more detailed light on B2M. What are the Goals of B2M?